You remember the day when one of your friends mentioned something about the benefits of a new metal roof and how great it was. At that moment you thought your friend must have been clueless on a subject matter of metal roofing, or else they would have never even consider making such a silly statement! After all, how can one imagine putting a metal roof on a house, when it probably makes loud noises when it is raining out. Not only that, a having metal on your roof would certainly make your house look like some sort of agricultural barn! Another discovery you have made was that, it was not the house itself, that was magnificent, in fact the house was rather average, but it was the metal roof that made the house look like a million bucks. 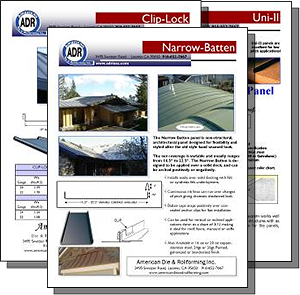 Perhaps you were not a believer just yet, but there was something that has shifted in your view towards metal roofing, the old barn metal roofing prejudice was evaporating, and the new curious interest in metal roofing was born. You told your friends about the metal roof you saw, and they were quite surprised to hear about it. All but one of them, did not have much to say about it. But, a friend of yours who tried to tell you about benefits of metal roofs before, said “See, bud, you were making fun of it, and now you are all excited about it.” Indeed, your views were beginning to change. In fact, you were now becoming so curious about metal roofing that you decided to speak with a knowledgeable contractor who installs metal roofing. Your friend told you that metal roofing installation is totally different form conventional roofing and that your regular roofer does not know how to install a metal roof. In fact, he told you a story of man who had conventional roofing contractor install a metal roof for somebody he knew and it was a disaster. Roofing contractor who did the installation did not know what he was doing and performed an incorrect installation. As a result, the roof was leaking badly, and a new experienced metal roofer had to be brought on the job to undo the damage, and reinstall the system from a scratch. Your friend explained to you that people who claim that metal roofing is easier to install than a conventional roof, have never installed one, and use hearsay as their frame of reference, Their misguided beliefs confuse other people and cost industry a lot money in poor and sometimes outright wrong quality of roofing installation. If you want it done right, then you better find a contractor who is certified and specializes in metal. The moral of your friend’s story and its lesson was clear, it is better to invest time and energy to find a qualified metal roofing contractor to install your roof in the first place than, it is to hire the wrong crew that has never installed a metal roof before, and will treat it as another asphalt shingle “get it done in one day” project. Now, that there were no questions remaining as to the importance of hiring a roofing company that specializes in metal roofing, your friend advised you to use a Roofing Contractors directory broken down into categories by specialties; metal roofing contractor companies organized by location in the U.S, and by specialty categories such as standing seam and metal shingle installers. Having done some research, you have come to realize that there were quite a few metal roofing contractors and companies offering metal roofing, and you now had the choice and burden of selecting the best possible metal roofing contractor you could find. The selection process was pretty straight forward, but it was important to follow it to the T. The pre-screening process would involve a potential roofing contractor coming over to your house and giving you an estimate. Right of the bat, you realized that there is a lot of potential roofing fraud going on, when one of the contractors came up to take a look at your roof, and quoted a roofing price that was only half of what the two guys have quoted before him, and he asked for cashiers check for the full amount upfront. This gentleman was clearly a roof scam artist preying on older and uneducated people. Fortunately, not every body in roofing business is a scam artist and there are some trust worthy roofers. One of them ended up giving a quote that was nearly four times the amount of asphalt shingle contractor who gave an estimate before him. But, despite the higher initial metal roofing costs the benefits he outlined made a lot of sense. The long and the short of it was that metal roof is the last roof you ever have to install, and you get a roof that not only looks great and lasts you a lifetime, but also helps you with energy saving, and increases the value of your home. Is not that a bargain? Of course, the price alone, high or low, is not the only criteria in making a decision as to whether or not you should hire any particular roofing contractor. A far more important variable is the quality of their work, which only be checked by asking for references, looking at the quality of their work and perhaps event talking to people to see if they are really happy with the roofing job that a contractor has performed. It is also, a good idea to carefully research the metal roofing system that a contractor plans on using, the type of roofing under layment they want to use, and find out about how they plan to ventilate the roof. 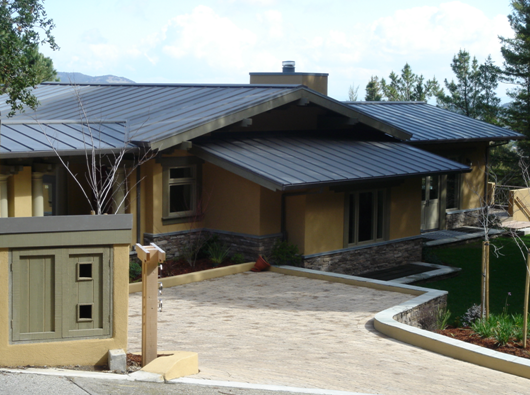 Important questions to ask your metal roofing contractor. Warranty details – Find out if it is just the material warranty from a product manufacturer, or if the contractor actually warranties the job to be leak free and water tight. 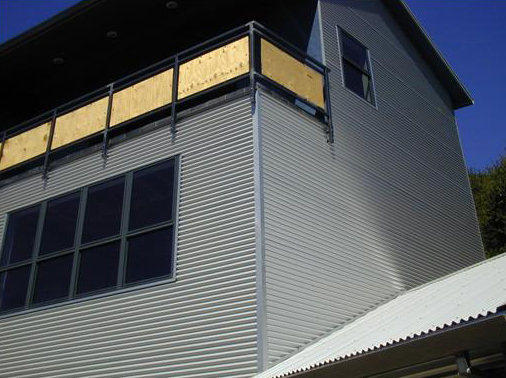 Under-layment type – Studies have shown that metal roofs should not be installed over synthetic vapor barrier insulation, as it will trap the moisture and may cause deck rotting. Therefore it is recommended to use breathable ventilation system. Ventilation – A roof that is not properly ventilated may fail prematurely due to moisture trapping and ice dams formation and damage from trapped hot air. Ask how a roofing contractor plans to ventilate your roof. Deck repair – if a roof is going to to require a tear off; Ask your roofing contractor if they are going to fix any possible deck damage, and get it in writing. Written Proposal and contract. Get a written proposal and / or contract and study it in detail before you agree to any work. Ask that your contractor puts all the promises in writing, otherwise, you will have no way to get what you were promised if a contractor fails to deliver upon their promises. Finally use your good judgment.